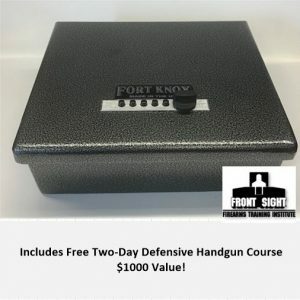 For single unit storage, we typically think handgun and pistol safes are the only option when it comes to individual firearm storage. 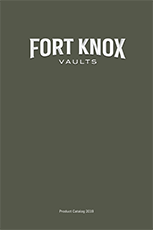 Fort Knox has taken this concept to the next level in developing the Shotgun Safe. For plenty of people the defensive firearm of choice is the shotgun with its close range explosiveness and effectiveness. 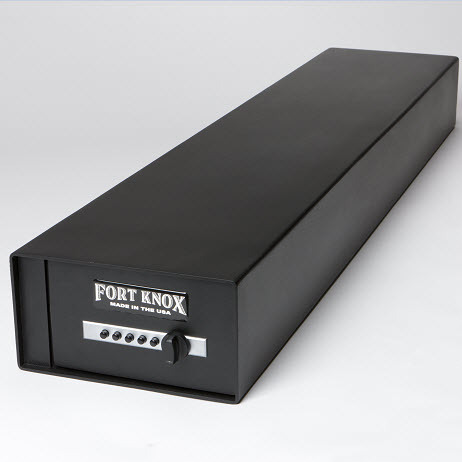 A shotgun safe enables you to keep your firearm of choice secured yet close by for quick access when you need it most. 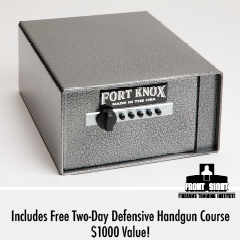 The body is comprised of heavy 10 gauge steel and the door features a 3/16″ steel plate providing fantastic security. Also on the door you’ll find the highly reliable Simplex Mechanical lock with the capacity of 1,081 different combinations. With a mechanical lock you won’t have to worry about batteries dying or malfunction of electronics or biometric scanners. 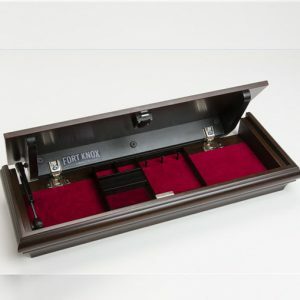 Once inside, you’ll find a nice carpet lined interior that will protect your shotgun from scratches and damage.